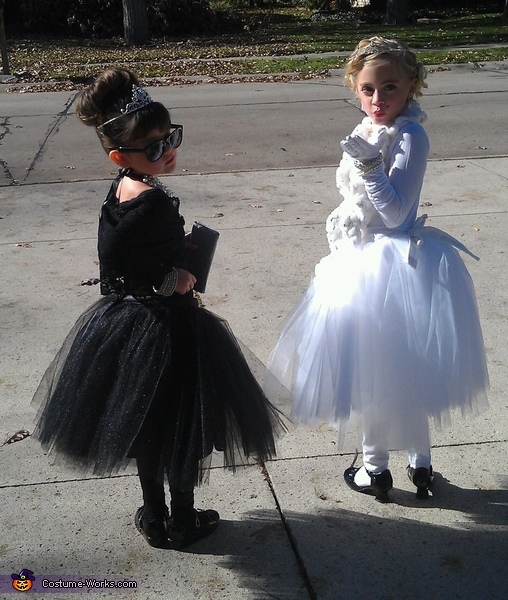 Laelah, 4yrs as Audrey Hepburn and Ella, 6 yrs as Marylin Monroe. I got the idea when my daughter tried on sunglasses and she was a spitting image of audrey, hope u all enjoy thier costumes as much as our family and friends did! They are sooo gorgeous you did an amazing job!! !